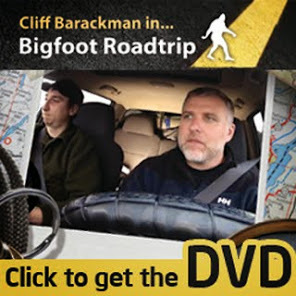 According to Guyism.com, The Bigfoot Discovery Museum in Felton, CA is one of the Top Ten Coolest Roadside Attractions in the US. I have to agree. It's not only a museum, but a library, research center, and gift shop (a guy's gotta eat...). Plus, it's the best place to talk to Mike Rugg. He owns it and works there. 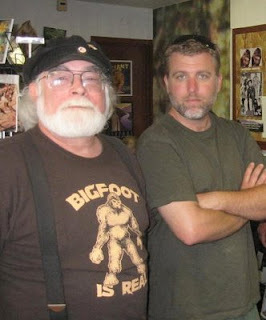 "Bigfoot, Sasquatch, Yeti whatever you want to call it, this mythical creature has been the star of countless blurry photographs and home movies. What better way to get all the… err facts? …about this giant ape than from the experts. The museum houses all kinds of odd Bigfoot artifacts from photos and movies to plaster casts and a guide on “How to Spot a Hoax.” Hours and days of operations may vary, after all these “scientists” do have a giant ape to capture." The tone of the write up is a little snarky, but that doesn't make the website's assessment of the Bigfoot Discovery Museum incorrect. Mike has some cool stuff in his shop including original footprint casts, a huge map with local encounter locations pinpointed on it, and amazing original artwork by Mike himself. Besides, he loves to talk 'squatch. You should definitely stop by if you're anywhere near Felton, CA. It's well worth the time. Congratulations to Mike for the recognition! Larger copies are available for sale.